We are all aware that the thrills and chills of a live casino cannot be denied. Unfortunately, many players do not have the luxury of regularly visiting such an establishment. This is the primary contributing factor to the rise of games such as online poker. While this is a well-established industry, there are nonetheless a handful of myths which are still pervasive. In order to truly appreciate the advantages offered by such virtual alternatives, it is wise to eradicate some common misconceptions. Let us address each one in greater detail in order to gain a wider perspective. This is arguably the most common myth. 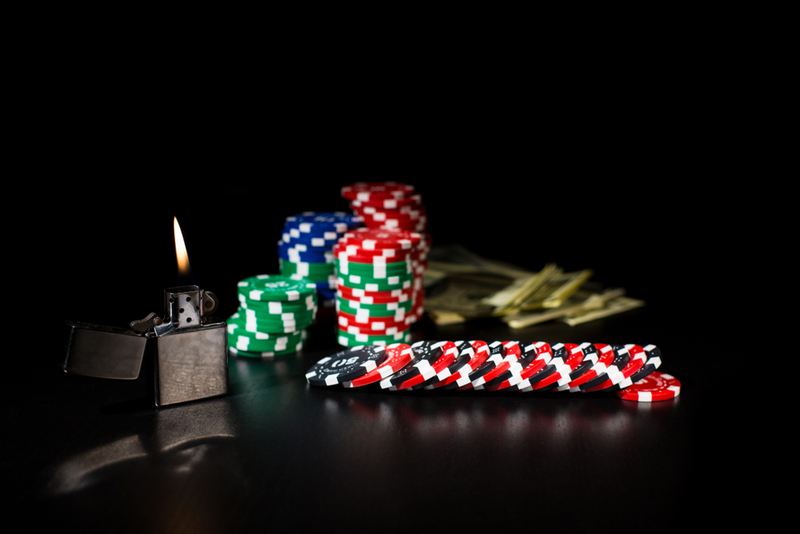 Some individuals (generally novices) believe that the odds behind online casinos are stacked in favour of the provider. In truth, the odds and associated statistics are the same when compared to physical locations. These games are controlled by an advanced set of algorithms and such equations do not prefer one player over another. In other words, your chances of being dealt a royal flush during a round of online poker are the exact same when compared to interacting with a physical dealer. Most who feel that online poker is rigged have simply not adopted the correct strategy. They are therefore seeking to place the blame upon a machine. One of the most important poker tips involves randomisation. Never discount a bit of good luck (or bad luck) during a given hand. If the most proficient players always won, there would simply be no room for anyone else. The fact of the matter is that chance favours the prepared mind. A novice could certainly garner a significantly high pot simply due to a bit of luck. In the same respect, a seasoned high roller may lose his or her entire bankroll as a result of nothing more than statistical probability. The good news is that these observations reinforce the fairness of the online casinos themselves. This is also the reason why VIP tournaments are attractive options; the next victor could very well be you! This next misconception is partially the result of films such as Rounders and the entire James Bond franchise. There is a certain romance behind a bluff in poker. Players seem to rely upon a combination of knowledge and a so-called sixth sense. Although there is no doubt that bluffing can come in handy from time to time, experts agree that this action should be employed sparingly. Big bluffs will lead to big losses. This strategy must be used in conjunction with sound actions and a working knowledge of the game in question. Knowing how to play poker involves just as much prudence as it is associated with occasionally “letting it ride”. This myth most likely derives with the anonymous nature of the online community. Some players automatically assume that others are constantly cheating behind their smartphone screens or their laptop computers. In fact, it is actually much more difficult to cheat when playing the online version of poker. Cheating is a risky business and if someone is discovered flouting the rules, he or she will be permanently banned from the website. It is much better to play an open and transparent game. Although there is no doubt that specific individuals try to go against the system, there are sufficient safeguards in place to mitigate the majority of this activity. Some poker players are governed by superstition. This habit is rooted across many gambling games (imagine an individual blowing on a pair of dice for good luck). Another misconception is that a certain site represents “bad luck”. Registering with a new provider will suddenly produce positive results. This is hardly ever the case. Should one’s odds improve, it is likely due to a psychological preconception as opposed to the site itself. Aggressive gameplay certainly has its place from time to time. However, always embracing this attitude exposes vulnerabilities over time. The online poker community generally consists of conservative individuals who are simply looking to have a bit of fun. Aggression is not likely to be countered within the world of online casinos. These myths are nothing more than smoke and mirrors. By seeing through such distortions, we can better appreciate the benefits associated with online poker.